We’re not going to try to convince you this Benz is a practical purchase, it’s not. It’s a vehicle that’s short on a lot of the qualities people normally seek from an SUV, namely utility. It packs about the same practicality as a station wagon. Except it’s not a station wagon. It’s an SUV that’s about the same length and width as a Chevy Tahoe but sleeker and whole heck of a lot faster. Wait, if you think of it that way, it kind of starts to make sense. A lifted and stretched high-performance station wagon with a coupe design that makes it look a whole lot better than a station wagon. 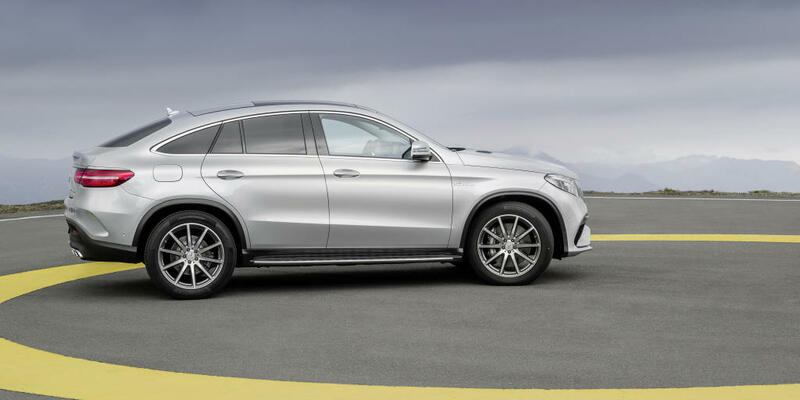 Sprinkle in some AMG fairy dust that includes aggressive bodywork, bi-turbos, oversized wheels, and quad exhausts and you get one mean looking SUV, with the performance chops to back it up. Purchase justified. We want one. 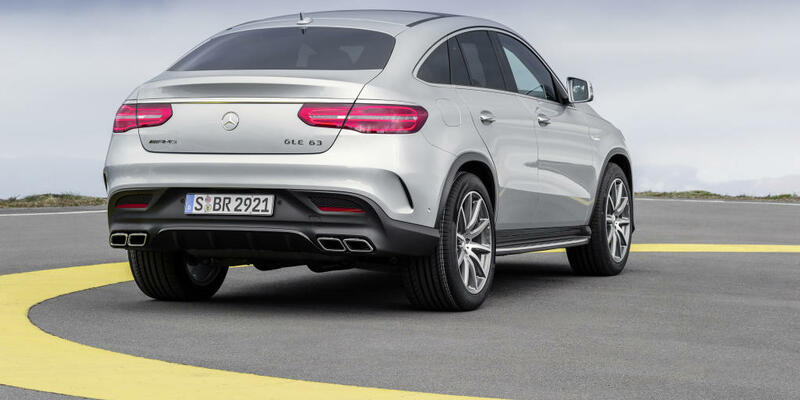 With a base price over $70,000 dollars, few will argue the GLE Coupe is a bargain. It’s an exclusive SUV that a small number of well-heeled buyers will drive, let alone own. However, if you’re looking for a midsize SUV that combines a commanding driving position with styling and performance of a sedan, the list is a short one. 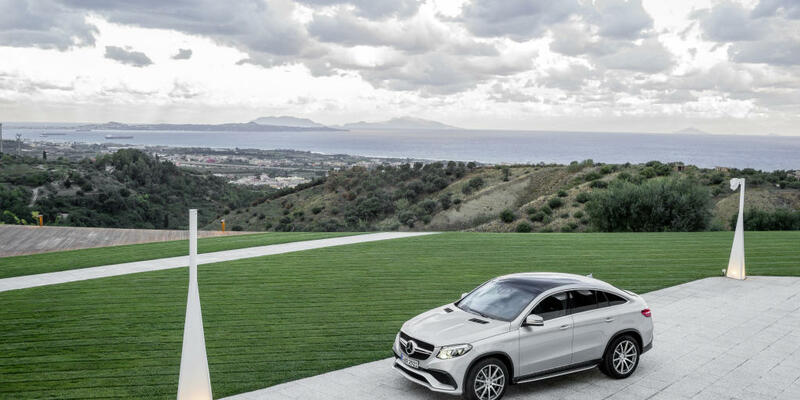 There’s just the X6 and GLE Coupe. The three-pointed star delivers better handling and acceleration in a more stylish package than the BMW that defines the niche segment in lower trims but X6 M takes the track day bragging rights for its absurd performance figures. More on that in our comparison of the two in the competition section. 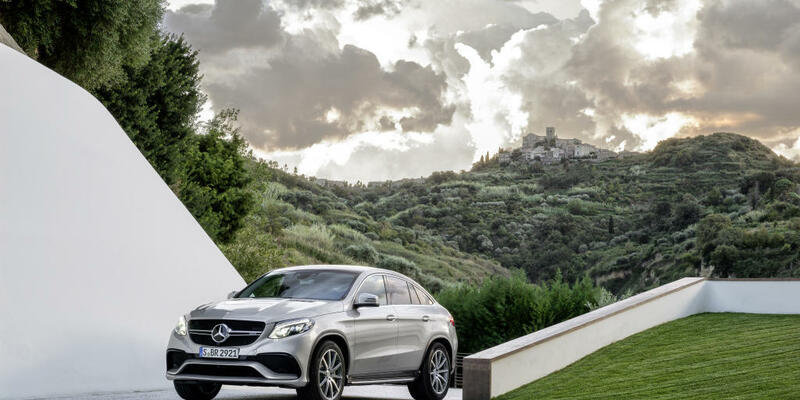 For those who care, the Benz also receives top safety and reliability scores, making it a bargain in comparison. 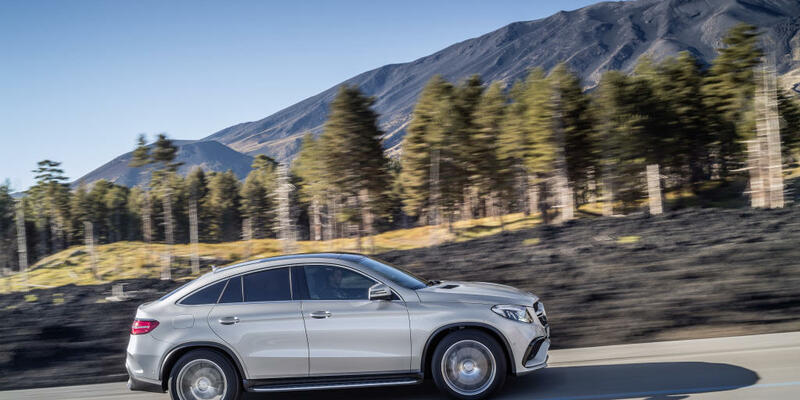 The AMG GLE 43 4MATIC Coupe receives a hand-built AMG biturbo 3 Liter V6 that produces 385 horsepower at 6,000 revs and 384 lb-ft at 2,000 rpm coupled with a 9-speed automatic transmission. The duo dances from zero to sixty 5.6 seconds according to Mercedes, though we suspect it’s quicker. The AMG 4MATIC system is specially tuned for a 40/60 default torque split. Turn the Dynamic Drive Mode select to Sport+ mode and steering firms while suspension lowers and stiffens. The exhaust wakes up to burble and crackle with downshifts, an ear-pleasing experience. The suspension leaves little to be desired when cornering, thanks to adaptive electronically controlled air suspension and variable dampers. The 17 mpg city and 23 mpg highway EPA ratings are fine considering the SUV’s serious performance ability. 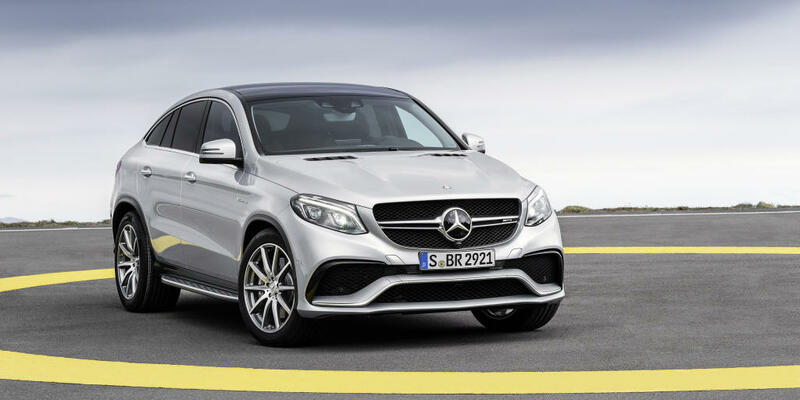 The GLE 63 S AMG 4MATIC is provided an AMG tuned iteration of the biturbo 5.5 Liter V8 that generates 577 horsepower at 5,500 rpm and 561 lb-ft of torque at 1,750 rpm. The result is a sub 4 second zero to sixty, physics-defying for a vehicle that weighs two and a half tons. In just 12 seconds, this SUV will do the quarter mile, reaching 115 mph. The insane power output comes with a caveat, 1 mpg less fuel economy in each category. However, the corner carving ability of this model challenges the X6 M, the longtime champion of absurd SUVs, while retaining the legendary comfort and quality that defines the brand. In either form, you can’t really fault performance. Both SUVs will do things normal SUVs can’t, like pull over .9g on a skidpad or beat your average Mustang off the line. Just don’t expect to go off-roading or be asked to haul your friend's furniture. Which is good because you probably didn’t want to do either anyway! 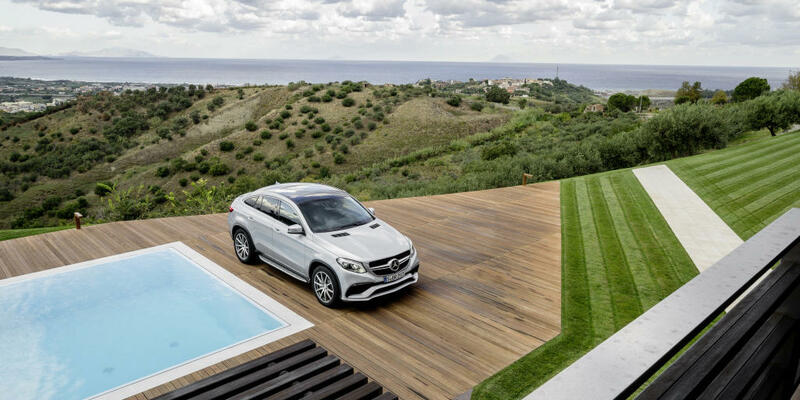 The cabin of the GLE coupe coddles occupants, a hallmark of the Mercedes-Benz brand. Though we’ve dissed other luxury make in the past for not including leather upholstery standard, the MB-Tex leatherette offers the same feel, durability, and ease of care. It covers many of the surfaces throughout the interior. Other panels are trimmed with either wood, carbon fiber or piano black and some brushed aluminum panels. The front seats are heated with standard power lumbar support and excellent adjustability. 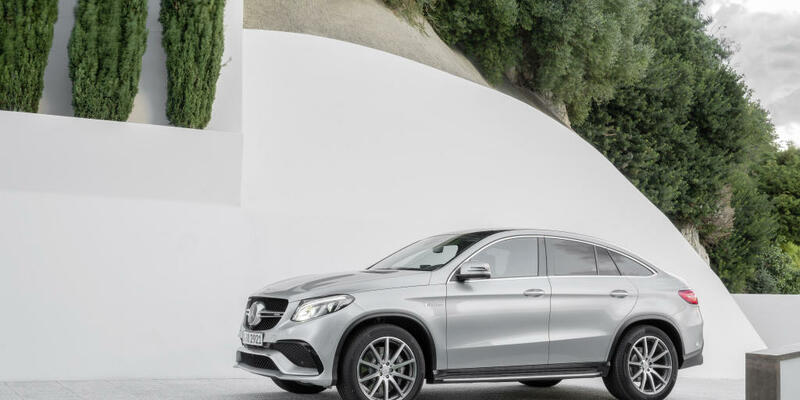 Three six-foot adults can fit comfortably in the second row as the coupe version loses less than an inch of headroom compared to the standard GLE. Comfort massaging front seats are an optional addition and can be ventilated as well. The AMG GLE 63 S receives these seats standard. As always, there are a multitude of available trim options, including the exquisite diamond quilted Designo seating surfaces. The standard 8-inch COMAND infotainment system floats above the dash and is well-loved for its user-friendly interface that now supports Apple CarPlay and Android Auto. It uses a touchpad console mounted control that receives little criticism despite being abhorred when other automakers use a comparable design. An integrated rearview camera is included. You can also add a moonroof, massaging seats, a rear seat entertainment system, a surround view camera, a heated steering wheel, rear seat heaters, a navigation system, premium audio, and additional advanced driver assistance features. One of which, the PRE-SAFE+ system, is unique to Mercedes. At the time of this writing, we are unaware of another rear pre-collision warning system that prepares occupants for a rear impact. A front-sensing version of this system is included. Both models receive a flat-bottomed sport steering wheel with exclusive aluminum paddles. The lower trim is wrapped in perforated leather while the higher trim gets a Nappa leather-wrapped steering wheel. This model also receives a suede-like (DINAMICA) headliner. Cargo capacity is, understandably, lower than the regular GLE but there’s still up to 63 cubic feet of overall cargo volume. Plenty for the needs of most owners. Overall, few complaints will be made about the features and support provided by this conspicuous cabin. 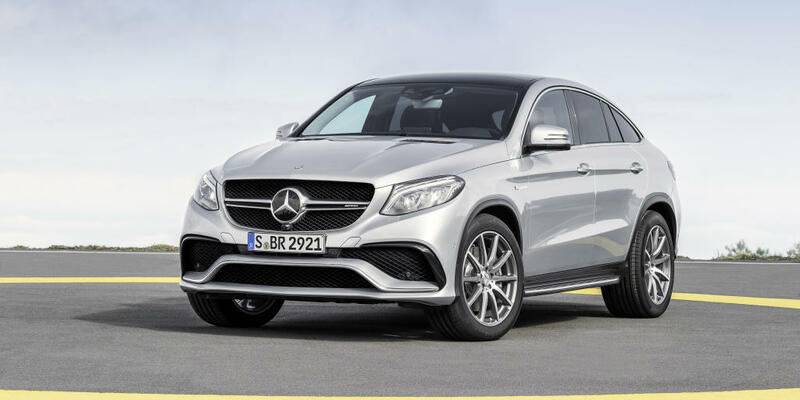 What differentiates the GLE Coupe from other GLE Class models? 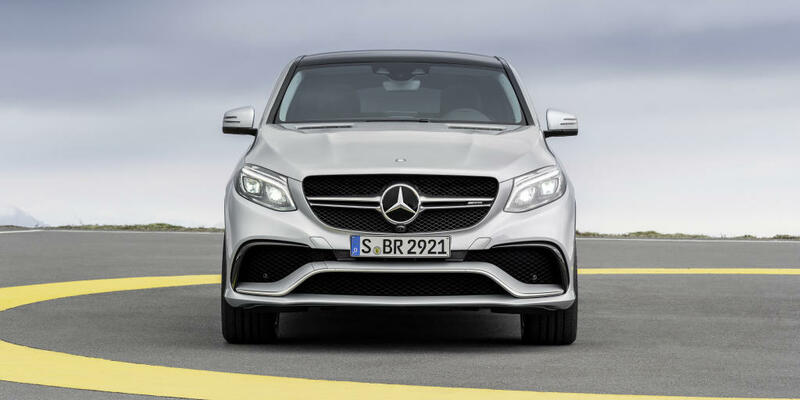 Well, the front fascia is mostly the same but since the coupe is only available in AMG form, the intakes are larger and styling is more aggressive, similar to the GLE Class models with the AMG Line package or AMG models. You really notice the differences from the side and the rear. 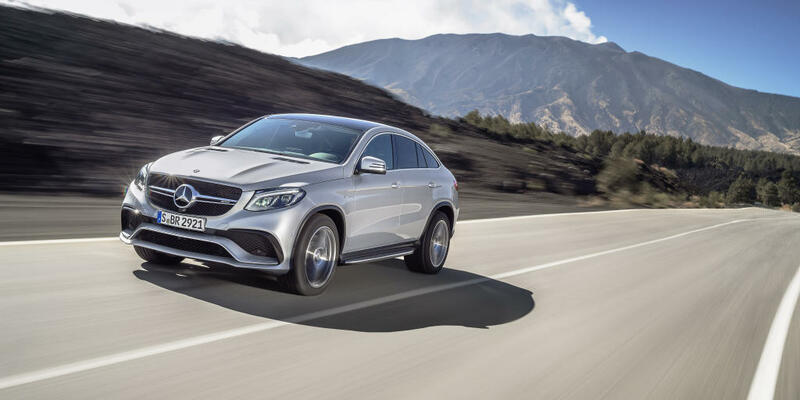 While the standard GLE features a traditional midsize SUV shape that’s pretty close to the original M class, the GLE Coupe is a radical departure in design. Rather than the typical SUV roofline that maximizes utility, the Coupe receives a sloping roofline and tidy rear end rather than a flat back, boxy tailgate. 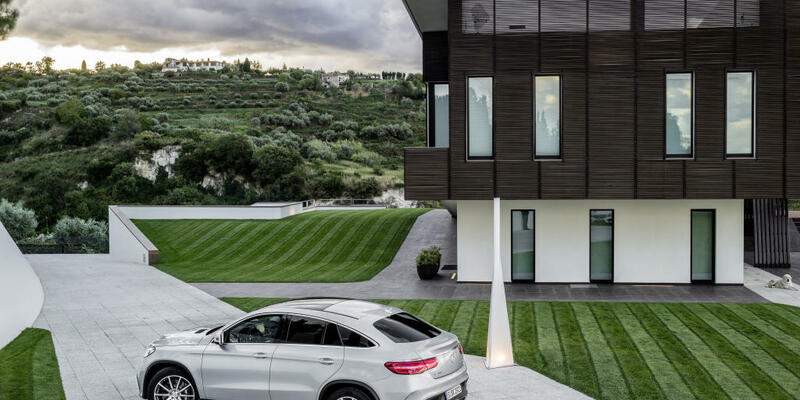 There’s no doubt Mercedes Benz recognized the success of the BMW X6, both in the States and abroad. It’s model BMW refuses to call an SUV, instead screaming that it’s a Sport Activity Coupe. Whatever the case may be, these segment defying designs show no signs of slowing down and Mercedes may have done it the best so far. The rear is absolutely stunning, with a completely different taillight design that resembles the S class coupe, with a distinctive decklid spoiler integrated into the trunk design. 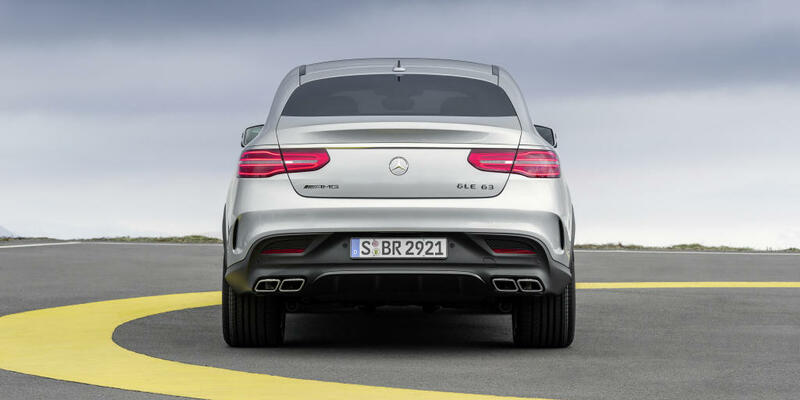 Lower down, there’s a faux rear diffuser with a stylish quad exhaust that sounds as good as it looks on both models. Another major difference are the oversized wheels. 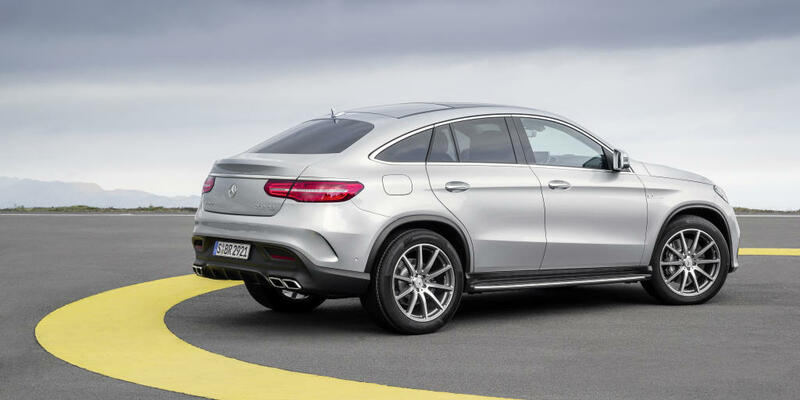 The GLE AMG 43 Coupe rides on 21 inch wheels standard, while the AMG 63 S rides on standard 22s. 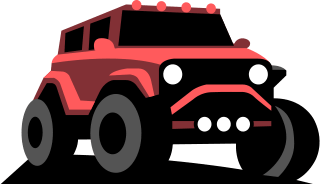 Though that’s highly impractical for off-road use, it contributes gobs of grip that give these SUVs some of the highest skidpad figures of any SUV. 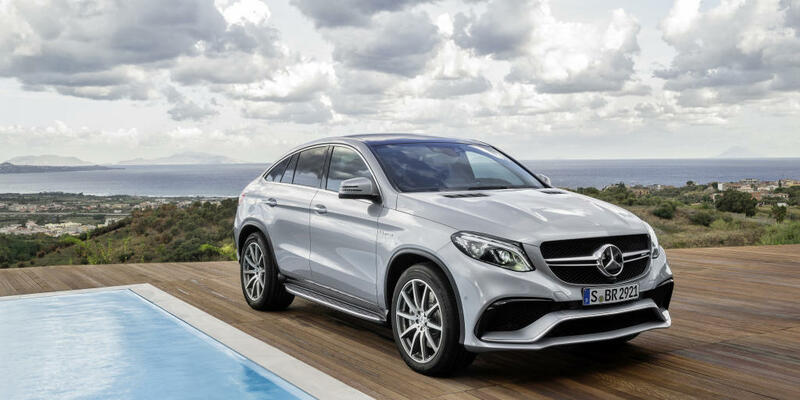 Mercedes Benz has managed to design one stunning SUV in the GLE Coupe, it may just be one of our favorite designs. What do you think? Better looking than the X6? Let us know in the comments below. 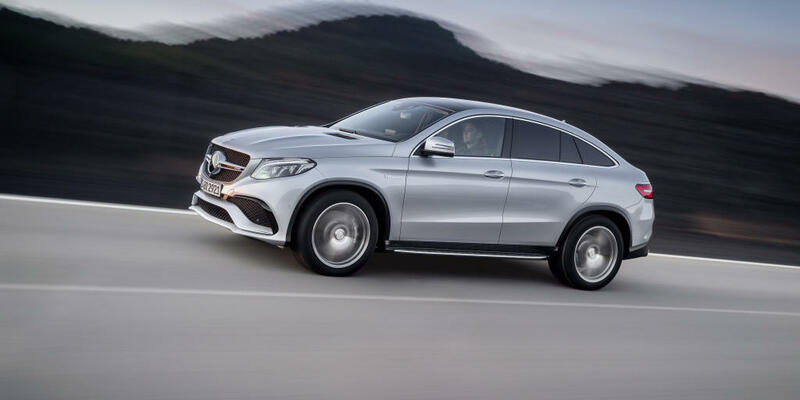 The GLE Coupe has not been evaluated by the National Highway Safety Administration. The Insurance Institute for Highway Safety did test a 2016 GLE Class, but not the coupe version. The results are impressive. The GLE obtains “GOOD” crashworthiness scores across all tests performed. The front crash prevention technology receives a rating of “SUPERIOR,” the best possible. The only weak point on an otherwise spotless resumé are the standard headlamps, which collect a “POOR” score, though the optional LED projectors secure the second highest, “ACCEPTABLE.” Still, the Insurance Institute for Highway Safety considers the GLE Class one of the safer luxury midsize SUVs on the market, which is why it was awarded a coveted “Top Safety Pick+.” A standard telematics system notifies emergency services if an airbag is deployed or the SOS button is pressed, saving time and, potentially, lives in the event of an emergency. The system can be utilized to unlock your vehicle, have it taken in for service, or even located if it is stolen. The GLE Coupe is full of safety features to assure the safety of you and your passengers. 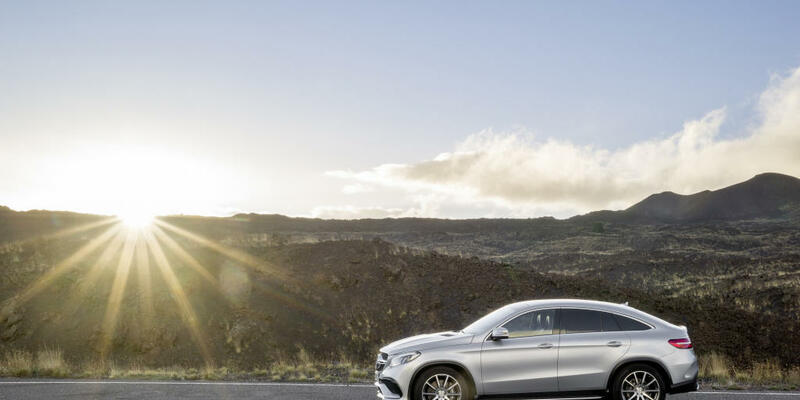 The GLE coupe receives a 3 out of 5 predicted reliability rating from Consumer Reports and a 4 out of 5 JD Power predicted reliability rating, on the higher end for luxury midsize SUVs. The 2017 model has 4 open NHTSA recalls, while the 2016 year model currently possesses 11. 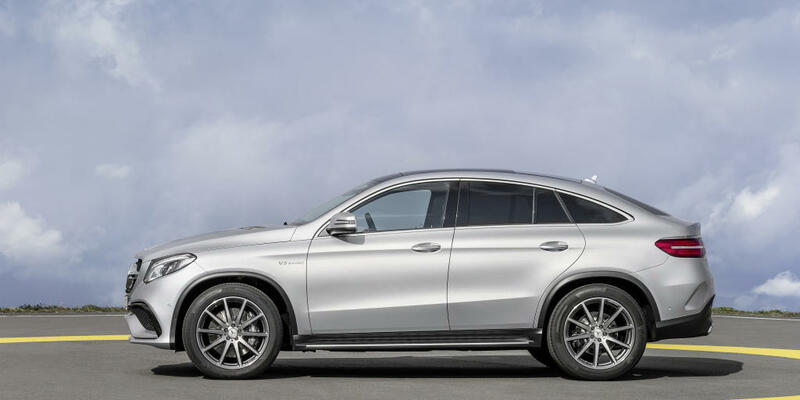 Two of the recalls affect both years, GLE 43 AMG coupe models have an ECU software issue that might cause the engine to shut down. It’s the result of a malfunction in the ECO start/stop system. All GLE models have an improperly calibrated occupant classification system that may deactivate the airbag even when a passenger is present. 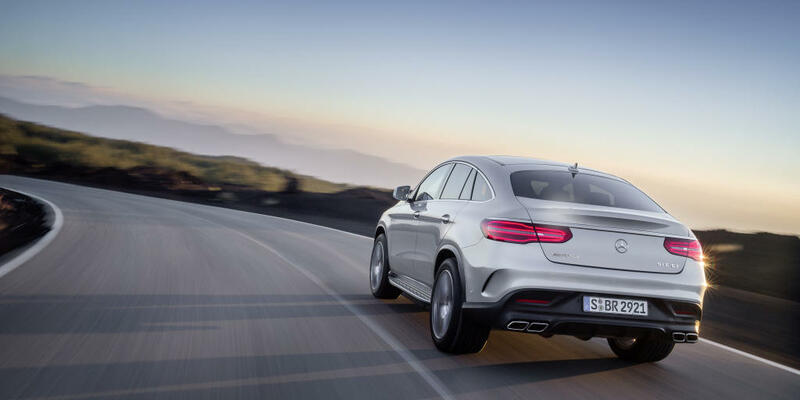 2016 GLE AMG coupe models have a drive shaft that may separate due to bolt fasteners that may come loose. The full list of recalls is available through the NHTSA website and you can check the VIN of a vehicle to find out whether the issues have been resolved or not. As always, recalls must be repaired by dealers at no charge to the owner. Be wary of models affected by the steering recall as there are multiple complaints that the parts to fix the issue aren’t available. 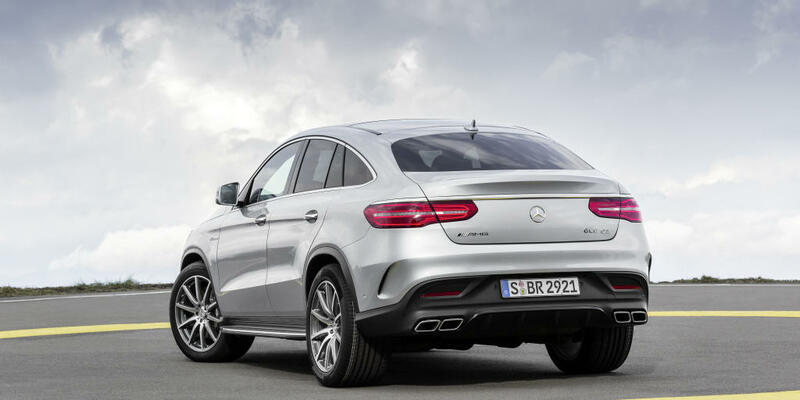 In fact, nearly all of the complaints for GLE AMG coupe are related to the parts to fix this issue being unavailable. Besides recall issues, there are few other complaints. This leads us to assume this SUV is pretty reliable. However, understand that any problems not covered by your warranty will be expensive to repair due to high parts and labor costs charged for the premium brand. If you’re primarily interested in purchasing a reliable luxury midsize SUV, Acura and Lexus produce the most dependable vehicles in the segment. 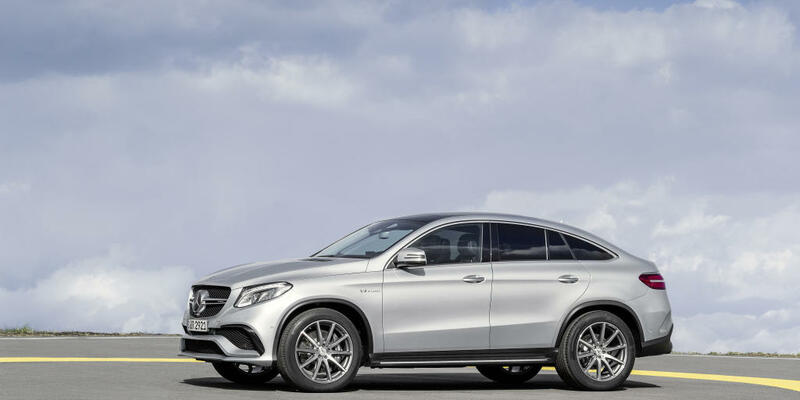 The 2018 GLE Coupe AMG GLE 43 4 Matic has an MSRP of $70,500, equipped with a hand built turbocharged 3 Liter DOHC V6 with direct injection that makes 385 horsepower and 384 lb-ft of torque. It’s coupled with a manually interactive 9 speed automatic that transfers power to all wheels via MB 4MATIC full time four wheel drive. Front and rear independent suspension systems are interactive, adaptive, and variable, including electronically controlled dampers and stabilizer bars. The system is supplemented by power electric rack and pinion variable assisted steering, engine management controlled traction control, and a four channel ABS system. 21 inch wheels are standard with P275/45WR21 BSW Performance All-Season tires at the front and P315/40WR21 BSW Performance All-Season tires at the rear. 8-way power heated bucket seats with memory and power lumbar support are standard, as is a rear 60-40 split folding reclining folding bench seats with manually adjustable headrests and fold-down center armrest. A 14 speaker LOGIC7 surround system features speed sensitive volume control, CD player, MP3 Player, SiriusXM satellite radio, and COMAND infotainment system with navigation aid, real-time traffic, and voice activation. Convenience features include a tilt and telescopic steering column, privacy glass with deep tint, power tilt and slide glass sunroof, electronic trunk lid, cruise control, power windows, remote decklid release, and console storage area. Standard airbags are front passenger, seat mounted front side, and front and rear side head curtain airbags. Rear side airbags are optional. Visibility features include auto dimming rearview mirror, power heated exterior mirrors with memory function and integrated turn signals, intermittent wipers, rear wiper, rear window defogger, perimeter lighting activated via remote, rain sensing wipers, and illuminated vanity mirrors. A standard telematics system includes emergency SOS, internet services, roadside assistance, stolen vehicle tracking, and live navigation. 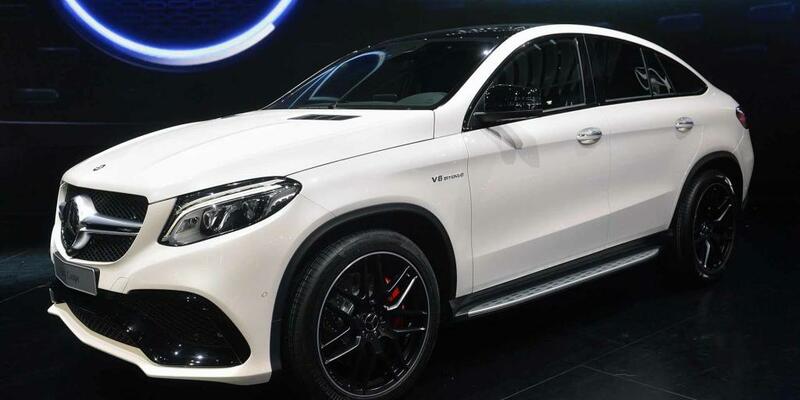 The $111,860 GLE Coupe AMG GLE 63 S Coupe 4MATIC equips a suede and leather steering wheel, exclusive carbon fiber interior trim with white stitching details, and gigantic 22 inch by 10 inch alloy wheels with P285/40ZR22 BSW Performance front tires and P325/35ZR22 BSW Performance rear tires. This model receives a turbocharged 5.5 Liter DOHC 32-valve V8 with direct injection that produces 577 horsepower and 561 lb-ft of torque. It’s paired with an AMG SPEEDSHIFT manually interactive 7 speed automatic transmission. Leather-trimmed seating is standard, as are massaging seats, parking aid with camera, and an autonomous parking system.